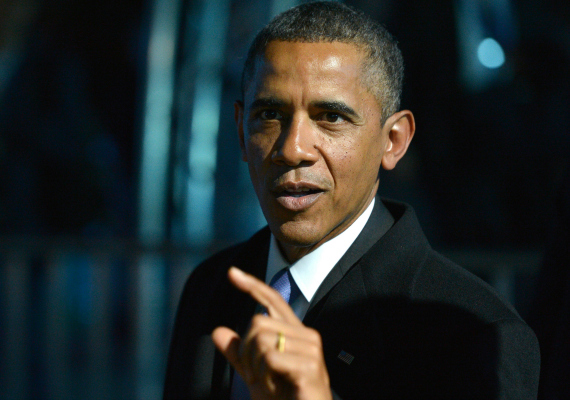 Will Obama Act Alone If Congress Votes No on Using Force in Syria? "It's neither his desire nor his intention" to do so, a White House aide said Friday. But the president is remaining mum on the question. Congress, this call is on you. President Obama does not intend to act in defiance of Congress if it votes down a resolution authorizing the use of force in Syria, White House Deputy National Security Adviser Tony Blinken told Steve Inskeep on NPR's Morning Edition Friday. "Has the president decided what he will do if Congress votes no on using force?" Inskeep asked during the short segment. "You know Steve, when, after the events of August 21, we reached out to Congress and we had conversations with members of Congress across the country," Blinken replied. "And the one thing we heard from nearly all of them is that they wanted their voice heard and their vote, and their votes counted." "The president of course has the authority to act, but it's neither his desire nor his intention to do, to use that authority absent Congress backing," Blinken said. Another way to look at this: If Obama were comfortable acting alone -- that is to say, without the support of Congress, the United Nations, NATO, the Arab League, or any major allies save France -- to order a strike on Syria, he had the opportunity to do so without going to Congress and requesting that each of its members rouse their electorates and invest political capital in considering and voting on the question for themselves. Instead, he surprised his aides and decided to put one of the most difficult foreign-policy questions of his presidency before a body he's spent the past two-and a half years detouring around by using executive orders and administrative discretion whenever he could, on hot-button topics from immigration to the implementation of the health-care law. "I did not put this before Congress, you know, just as a political ploy or as symbolism," Obama said during a news conference at the G20 Summit in Russia Friday morning. "I put it before Congress because I could not honestly claim that the threat posed by Assad's use of chemical weapons on innocent civilians and women and children posed an imminent, direct threat to the United States. "In that situation, obviously, I don't worry about Congress; we do what we have to do to keep the American people safe. I could not say that it was immediately directly going to have an impact on our allies. Again, in those situations, I would act right away. This wasn't even a situation like Libya, where, you know, you've got troops rolling towards Benghazi and you have a concern about time, in terms of saving somebody right away." But the president declined to say what he'd do if Congress votes down the resolution. "I think it would be a mistake for me to jump the gun and speculate, because right now I'm working to get as much support as possible out of Congress," Obama said. "I was under no illusions when I -- when I embarked on this path. But I think it's the right thing to do. I think it's good for our democracy. We will be more effective if we are unified going forward," he said. "I put this before Congress for a reason," Obama repeated, after ABC News's Jonathan Karl tried to goad him into a fresh response to the earlier question about what he's do if Congress votes the use-of-force resolution down. "I think we will be more effective and stronger if, in fact, Congress authorizes this action. I'm not going to engage in parlor games now, Jonathan, about whether or not it's going to pass, when I'm talking substantively to Congress about why this is important and talking to American people about why this is important. "Now, with respect to Congress and how they should respond to constituency concerns, you know, I do consider it part of my job to help make the case and to explain to the American people exactly why I think this is the right thing to do. And it's conceivable that at the end of the day, I don't persuade a majority of the American people that it's the right thing to do," the president continued. "And then each member of Congress is gonna have to decide, if I think it's the right thing to do for America's national security and the world's national security, then how do I vote? "And you know what? That's -- that's what you're supposed to do as a member of Congress. Ultimately, you listen to your constituents, but you've also got to make some decisions about what you believe is right for America." In short: Congress, this one is on you.